Red potatoes are the workhorses of the potato world. As a rule, red varieties are low in starch, so they tend toward waxy and dense rather than airy and fluffy in texture once cooked. 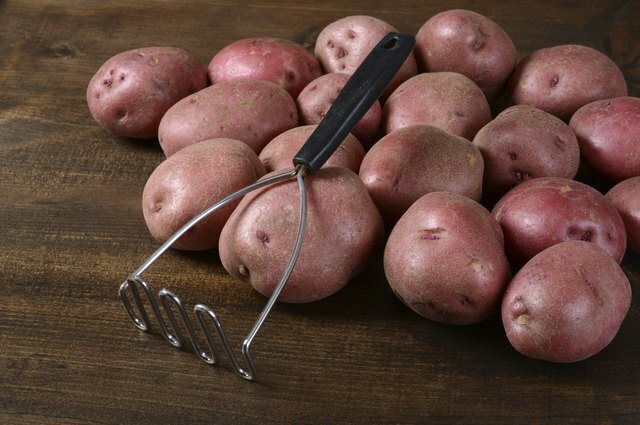 Red potatoes retain both their color and shape when cooked, although their hue can fade if held too long in storage. Sometimes various varieties of round red potatoes are sold under the moniker "new potatoes," especially in the spring. However, technically speaking a new potato can be of any variety, red-skinned or not; its defining characteristic is that it's freshly harvested and incompletely cured, unlike winter "storage" potatoes. Quite high in moisture, new potatoes are well suited for roasting, boiling or steaming. Try them in a spring potato salad as well, and leave their thin and delicate skins on. Most red potatoes have white, off-white or yellow flesh inside. 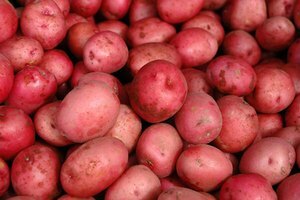 Red Bliss potatoes are denser and low-moisture compared with other red varieties. Red gold potatoes have yellow flesh and red skin, a particularly striking combination. Other red-skinned varieties include red la soda, Dakota rose, Dakota jewel, red cloud and Norland. These potatoes are low in starch and high in moisture, and have a creamy, mildly sweet flavor. 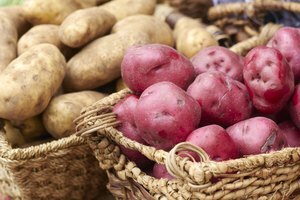 Red potatoes are highly versatile and hold their shape well when cut; use them in soups or stews, roast or boil them for a side dish, prepare a gratin or turn them into potato salad. You can also mash red potatoes, but it's best to aim for a rustic and lumpy mash rather than a silkier texture better achieved with a higher-starch variety. A handful of varieties of potato possess not only red skin but pink flesh. Cranberry -- also known as all-red -- is one such variety. The variegated pink and white flesh retains its color after it's cooked, making for a striking presentation. 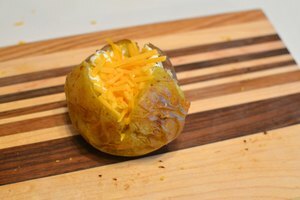 You can utilize these potatoes the way you would any other red-skinned variety, but try all-reds in a potato salad to truly showcase their bright hue. 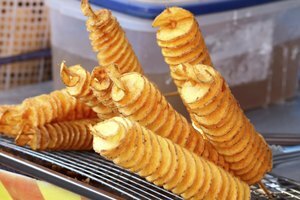 Fingerlings are a type of potato named for their shape -- the potatoes are long and narrow, looking a little like fingers, rather than round or oval in shape. Like other red potatoes, red fingerling varieties hold their shape well and are low in starch. Varieties include rose Finn apple, red thumb, French and ruby crescent. Their flavor is nuttier and less sweet than other red potatoes. One of the best ways to utilize fingerlings is to simply roast them whole; their slender shape speeds cooking time. You can also try cutting them into long slices and roasting them this way. 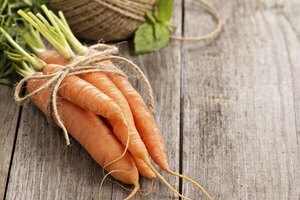 You can also cut them into segments and add them to soups and stews.